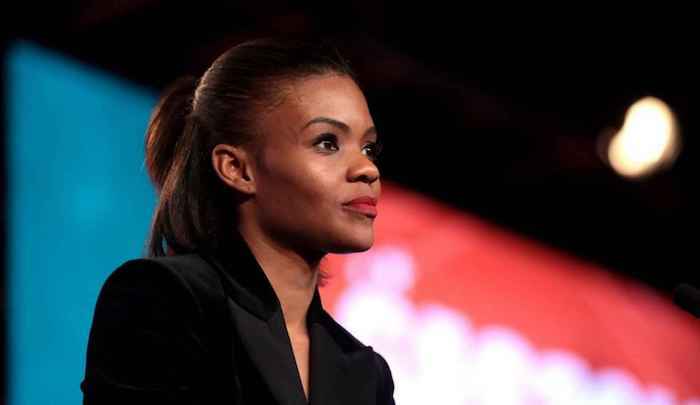 This Just In: Left Discovers Candace Owens Is A Nazi! Leftists thought they had hit the jackpot last week in their never-ending quest to portray all dissenters from their totalitarian agenda as Nazis and/or tools of Vladimir Putin: video surfaced of black conservative activist Candace Owens of Turning Point USA appearing to say that the only problem with Adolf Hitler was that he carried his program outside of Germany. Their gleeful smearing of Owens raises the question yet again: are Leftists evil, crazy, or both? I actually don’t have any problems at all with the word ‘nationalism.’ I think that it gets, the definition gets poisoned by elitists that actually want globalism. Globalism is what I don’t want. So when you think about, whenever we say ‘nationalism,’ the first thing people think about, at least in America, is Hitler. You know, he was a national socialist, but if Hitler just wanted to make Germany great and have things run well, okay fine. The problem is that he wanted, he had dreams outside of Germany. He wanted to globalize. He wanted everybody to be German. Everybody to be speaking German. Everybody to look a different way. To me, that’s not nationalism. In thinking about how we could go bad down the line, I don’t really have an issue with nationalism. I really don’t. I think that it’s okay. It was indeed possible to see this as saying that the only problem with Hitler was that he didn’t confine his activities to Germany alone. And Owens’ Trump/Hitler resonance in speaking of Hitler wanting to “make Germany great” was more fodder for Leftists eager to find validation of their multiple smears of conservatives, and particularly of Trump supporters. There are just two options here: one is that the Leftists who pounced on Owens (and there are many more) actually believe that conservatives are Nazis, in which case they are insane. Insanity is the inability to distinguish reality from fantasy, and if Chelsea Clinton, Qasim Rashid, the Washington Post and the rest really think that Owens’ initial statement revealed that she secretly admired Hitler, they have shown that they cannot make basic distinctions and perceive elementary realities. On the other hand, if Leftists knew full well all along that Owens was not a Nazi, but saw her words as fodder to be exploited in order to try to defame and destroy her and all conservatives and Trump supporters, then they are evil. The most likely answer is that they’re both crazy and evil. EDITORS NOTE: This Jihad Watch column with images is republished with permission. The featured image is from Candace Owens’ Facebook page. https://drrichswier.com/wp-content/uploads/Candace-Owens-facebook-e1550064314455.jpg 434 639 Robert Spencer http://drrich.wpengine.com/wp-content/uploads/logo_264x69.png Robert Spencer2019-02-13 08:26:112019-02-13 08:26:12This Just In: Left Discovers Candace Owens Is A Nazi!